Playwright/actor Charles Busch wrote Die, Mommie, Die! as a stage vehicle for himself and the World Premiere in 1999 was at the intimate Coast Playhouse in West Hollywood. 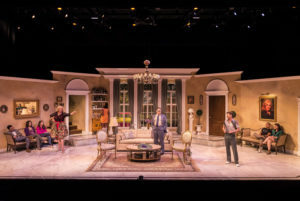 Celebration Theatre mounted a production in their intimate space at The Lex in 2017 and it is now playing The Kirk Douglas Theatre in Culver City as part of Center Theatre Group’s Block Party. 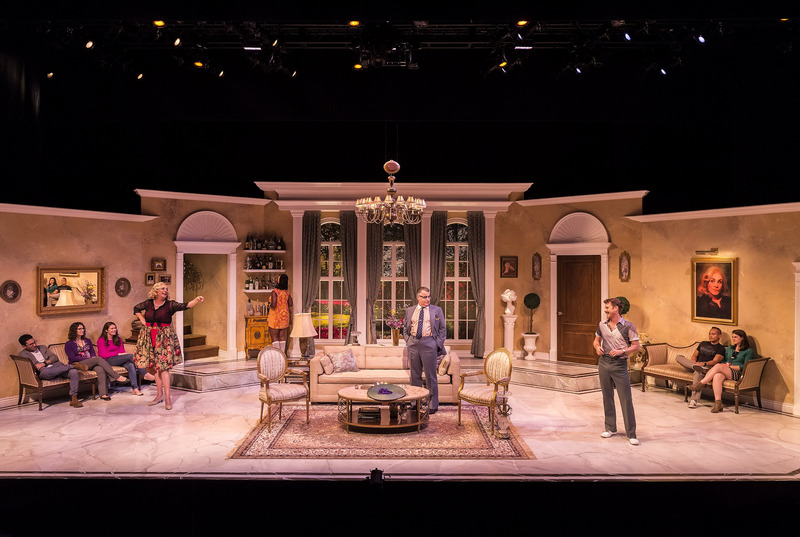 Pete Hickok’s luscious scenic design of a Beverly Hills mansion is a major upgrade for the production as are Matthew Brian Denman’s lighting and Rebecca Kessin’s sound designs. 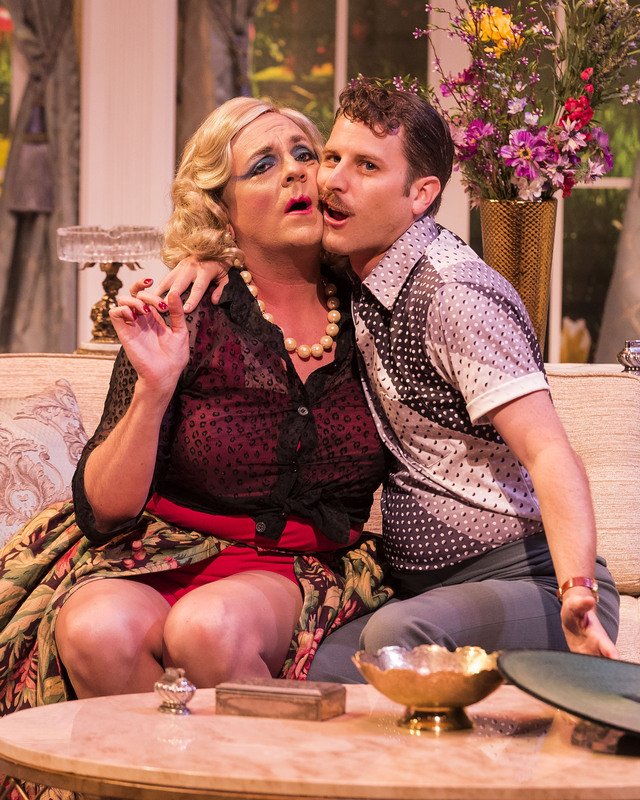 Allison Dillard once again designed the glamorous costumes and director Ryan Bergmann has reunited with his star Drew Droege. 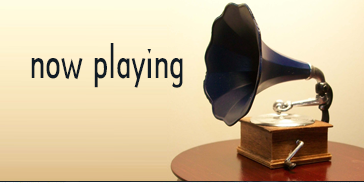 Busch originally wrote the play as a homage to the films led by strong, dominating women like Bette Davis and Joan Crawford, crossed with the psycho/horror films of the early 1960’s like Whatever Happened to Baby Jane?, Hush, Hush Sweet Charlotte, Die, Die My Darling. The result was an instant camp classic that Busch eventually committed to film in 2003. Director Bergmann has opted for more of a drag queen farce, without the slamming doors. The style works in entertaining the audience but the feeling of homage and sense of dubious reality Busch wrote is lost in the ensuing over-the-top histrionics. Former recording and film star Angela Arden (Droege) is hoping to make a comeback but is stopped by her controlling movie producer husband Sol (Pat Towne), himself deep in debt to the Mafia. Angela’s nymphet of a daughter, Edith (Julanne Chidi Hill) has a hate thing going with her mother and an unnatural love thing going with her father. Lance (Tom DeTrinis) is their screaming queen of a son, home from college because he burned down the gym. It is 1967 after all. 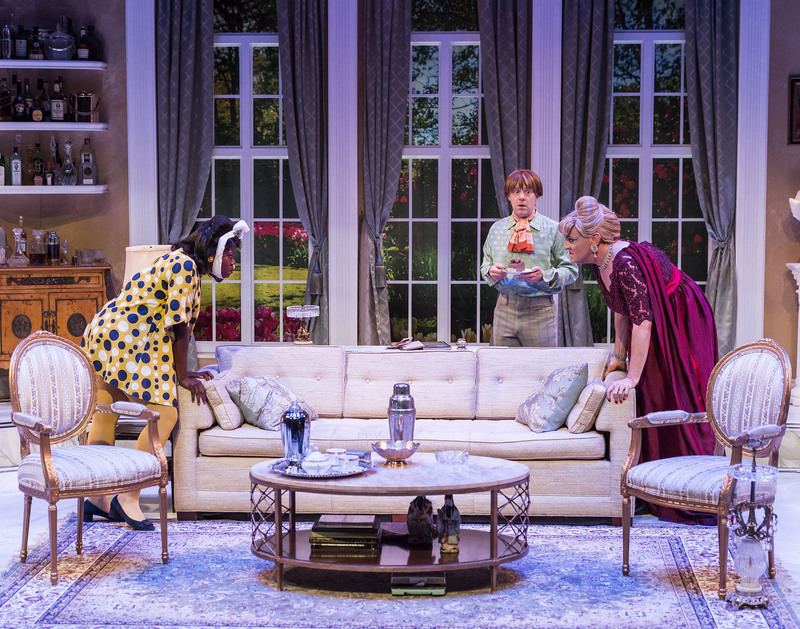 The overtly Christian maid Bootsie (Gina Torrecilla) has the hots for Sol while tennis bum Tony (Andrew Carter), with his prominent trouser busting member, has bedded Angela and soon has his way with both children. Add in an arsenic-laden suppository and LSD laced coffee and mayhem ensues.The cast is enjoying themselves and are especially playful with the unfortunate?/lucky? audience members seated on the sidelines of the spacious set. The pace is quick until the exposition heavy final fifteen minutes when surprise revelation after surprise revelation is surprise!—revealed.